This, to me, is the most heavenly bowl of comfort. It’s clean and light but so nourishing and packed with flavour. It’s good no matter what the weather and it’s a great way to use up any extra veg you have in the fridge. Cut the tofu into squares and slice the shiitake. Lay them out in a small/medium dish. In a small bowl, whisk together the tamari and coconut sugar. 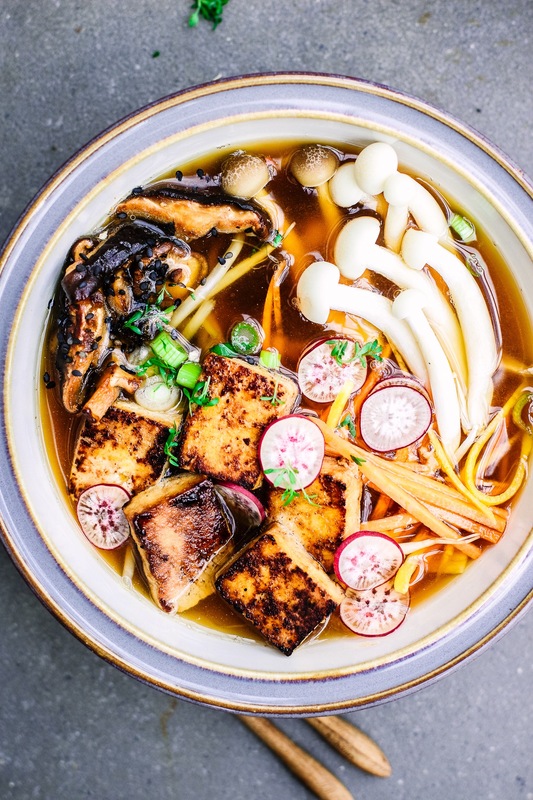 Pour this over the tofu and shiitake and toss well. Leave to marinate, tossing every so often, while you make the broth. Very thinly slice the ginger and add it to a saucepan with the kombu, the whole garlic cloves and 1.2L of water. Bring it to a simmer and then turn down the heat, letting it simmer gently for 20 minutes. Whisk together the miso, tamari and a ladel of the broth until smooth, then pour it into the saucepan with the rest of the broth. Add a glug of sesame oil to a pan on medium high heat. Arrange the tofu in the pan and pile the shiitake together in the remaining space. 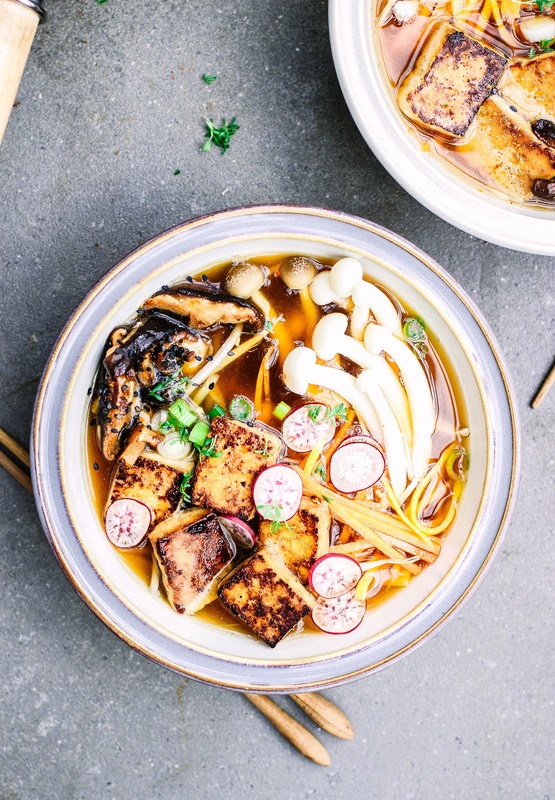 Cook the tofu for 2-3 minutes each side until crisp, toss the shiitake often. Add the raw veg to your serving bowls and then pour the broth over them. Add the tofu and shiitake on top and sprinkle with spring onions before serving.